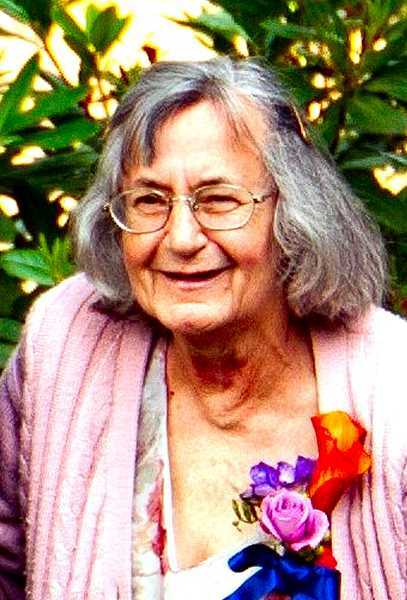 Norma Kathleen "Kitty" Gabriel is fondly remembered by all who knew the strong and witty woman from Sellwood; despite a disability that would have made many people homebound, she regularly made trips on TriMet to her favorite exercise facility in Milwaukie. Gabriel, 83, died May 10 at Oregon Health & Science University Hospital from injuries she had suffered being struck by a FedEx van. The widow and mother of two was in the crosswalk at the Milwaukie Transit Center on her way to catch a bus home on April 26 when she received the fatal injuries. On June 25, FedEx driver Jason James Fletcher (of Lake Oswego) pleaded "no contest" and paid a $260 for failing to yield to Norma Gabriel in that accident. Despite suffering from progressively crippling scoliosis, Gabriel was a hero to many throughout Milwaukie and Sellwood-Westmoreland for the high level of activity and independence that she maintained, through her mastery of the TriMet public-transit system. Although bent over by her increasingly curved spine, Norma Gabriel pulled a rolling suitcase to help her balance, which also carried her swimsuit and towel between her home in Sellwood and the Nelson's Nautilus Plus facility in Milwaukie. "She got around in a heroic way," said Pete Walker, who lives near the Gabriel household in Sellwood. "She was quite the character, and it was just tragic what happened to her." According to several interviews with her friends, Gabriel was never heard complaining about her physical condition. She was known for her a wonderful sense of humor – more wit, than anything else – someone who made light of the travails of life. "I finally had to get out; I couldn't stand my own company," Gabriel remarked after the January snow. Her jokes – and her loud laughter that followed – were a treat for fellow church members, TriMet passengers, and members of Nelson's Nautilus Plus Milwaukie. Nelson's Nautilus member, and former State Representative, Carolyn Tomei said she and many others would not have found out about Gabriel's death if it weren't for a flyer posted at the exercise club. Nelson's Nautilus Plus Milwaukie Manager Angie Reynolds attended the celebration of life for Gabriel in Sellwood, and copied and posted one of the handouts for funeral attendees. "Norma really made an impact around here to a lot of people," Reynolds reflected. "She really got around the community in a positive way, and it's so sad to not have her around." Gabriel loved tending her garden, particularly the hybrid roses grafted by her deceased father, John. She also enjoyed crossword puzzles, Scrabble, card games, and clipping coupons. She frequently donated food or toiletries to those she deemed less fortunate. Gabriel regularly volunteered at St. Agatha's Catholic Church in Sellwood, where she served as a greeter at services. Active in the St. Agatha's Altar Society, she worked often at the church's Adoration Chapel and Thrifty Cottage. The church's pastor, Father Nathan Zodrow, knew her personally, and gave a moving service at the May 20 celebration of life, according to Reynolds. A brief reception followed at Immanuel Lutheran Church. Gabriel was born Dec. 29, 1933, in Huron, South Dakota, the third child of John Kott and Bertha May Ayres. When she was 8, her family moved to Portland. After she graduated from Washington High School, she married Virley Thurman Gabriel, Jr, on Nov. 14, 1953, at the Ascension Catholic Church in Portland. Her husband died June 14, 1977, in Portland. She is survived by her son, Michael (wife, Debbie) Gabriel of Portland; her daughter Marilyn (husband, LeRoy) Gabriel Mills of McLean, Virginia; her grandchild Michelle Mills; several sisters-in-laws; a brother in-law; and numerous nieces and nephews. The family thanked the dedicated personnel in the OHSU intensive care unit for the great care they provided Gabriel in her final days after being struck by the vehicle in downtown Milwaukie. In accordance with Gabriel's wishes, in lieu of flowers, donations may be made to the St. Agatha's Preservation Fund, 1430 S.E. Nehalem Street, Portland OR 97202.